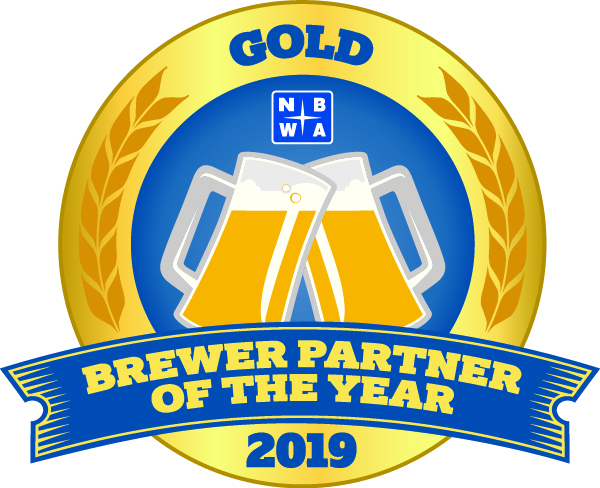 The National Beer Wholesalers Association (NBWA) is seeking nominations for the Fifth Annual Brewer Partner of the Year Awards. The awards will recognize brewers who produce great beer, build strong partnerships, provide valuable education and offer support to their distributor customers who deliver their beers to market. The awards will be presented during NBWA’s 82nd Annual Convention, Sept. 22 – 25, 2019, in Las Vegas, Nevada. NBWA distributor members and brewers are invited to nominate any brewer they believe is deserving of an award. Nominations will be accepted until June 28, 2019. Award criteria can be viewed here, and nominations can be submitted here. Please contact NBWA's Industry Affairs Department at brewerpartner@nbwa.org or (800) 300-6417 with any questions.